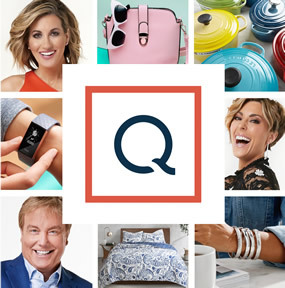 Qurate Retail Group℠ Networks is responsible for maintaining and increasing QVC, QVC2, QVC3, HSN, and HSN2 distribution on all available traditional television, interactive, and emerging platforms across the United States. QVC, Inc. Engaging. Surprising. Authentic. And always live. QVC® is the world's leading multiplatform digital retailer. Experience enlightening stories. Meet interesting personalities. Explore curated collections. On air, online, on smart devices—every minute, every day. Connect with a dynamic community of passionate shoppers, expert guests, and knowledgeable program hosts. All backed by award-winning customer service. Discover something new today when you tune in to QVC. HSN, Inc. HSN is a leading entertainment and lifestyle retailer, with a curated assortment of exclusive products and top brand names. We incorporate entertainment, inspiration, personalities and industry experts to provide an entirely unique shopping experience. HSN is part of Qurate Retail Group. QVC has three channels in the U.S. - QVC, QVC2, and QVC3. HSN has two channels - HSN and HSN2. Discover what each channel has to offer by clicking on the logos below. To download the satellite information for a specific channel, click on the spec sheet link. Can't view the spec sheets? Download the latest version of Adobe Acrobat Reader here.